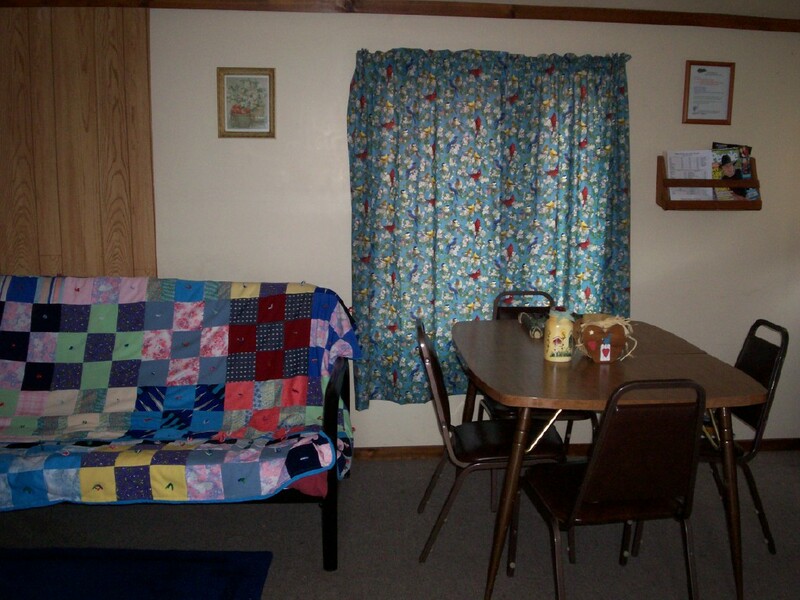 Cabin 7- The Birdhouse Bungalow has 2 double beds, 1 futon and a rollaway if needed. It has an extra large driveway, room for a boat or camper as well. Walk-out side door has a picnic table, grill and firepit. 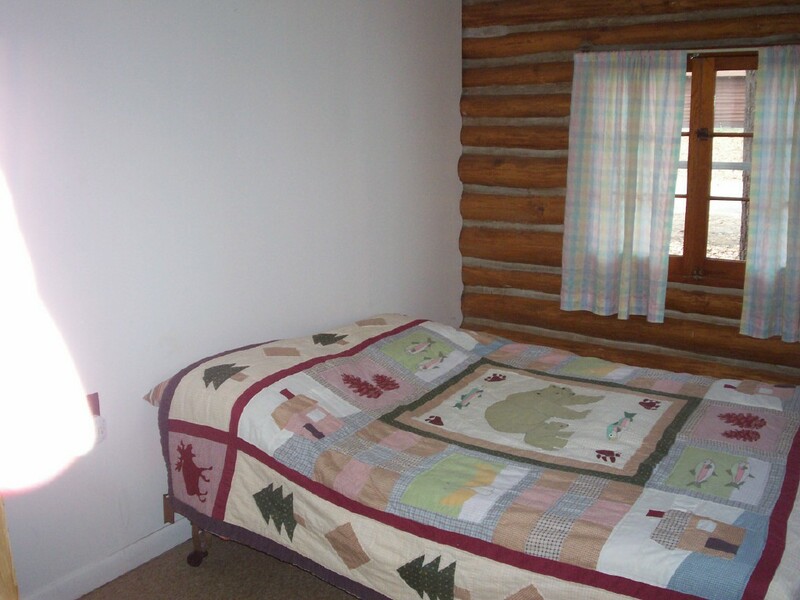 Cabin 6 is a favorite--a real log cabin with 2 bedrooms and a futon. Called the Black Bear Bungalow it is the closest bungalow to Lake Elinor and has a beautiful view out the front door. We have one or two bedroom cabins available. The larger cabins can sleep up to 6 with a rollaway. 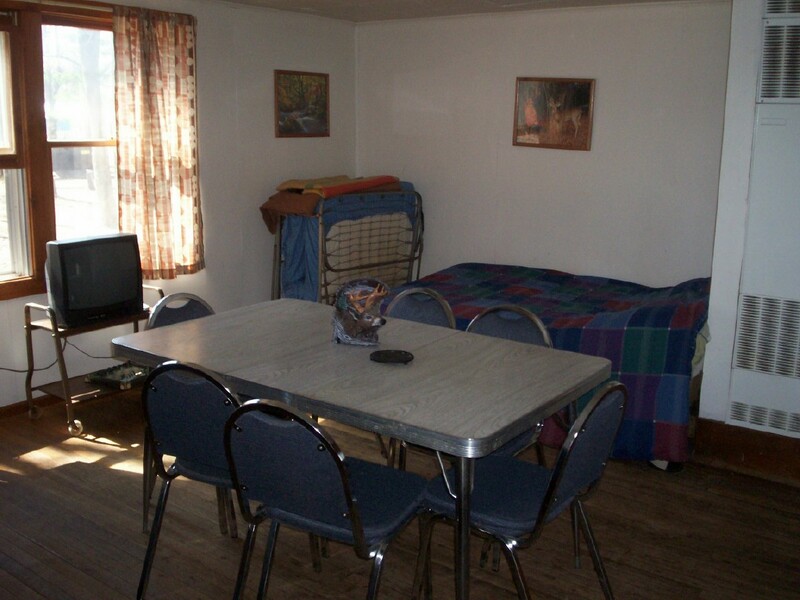 All cabins have complete kitchenettes,cable tv, hot showers and all the amenities of home. If you don't see what you need, please ask for it! Here is what one of our bungalow brethren wrote: "A fine cabin for fishermen who have cold fingers and othr parts of their anatomy. Warm, cozy, clean and neat. All you need when your're away from home." 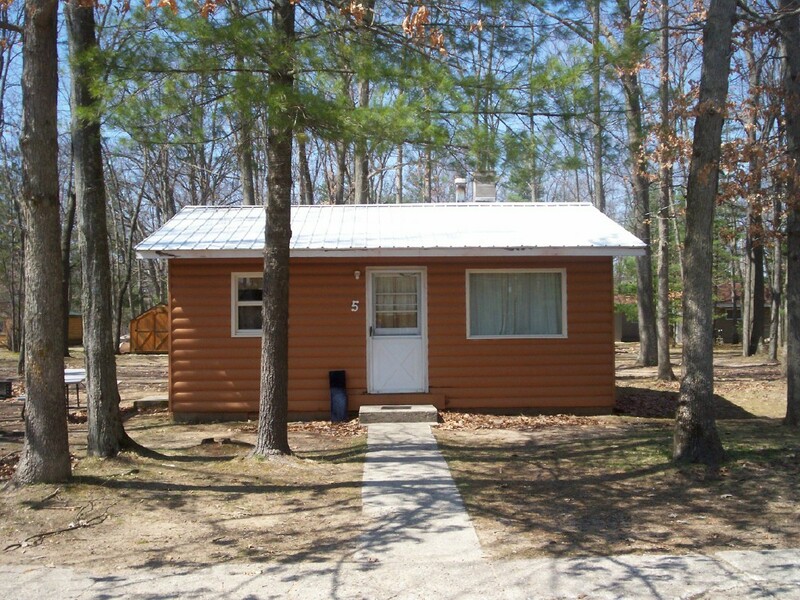 From fire pits to campground singing, festivals and fishing, walking in the woods, swimming in the lake, or skiing at Caberfae or Big M, snowmobiling and gathering with friends...there is truly year round fun at Brethren Bungalows.